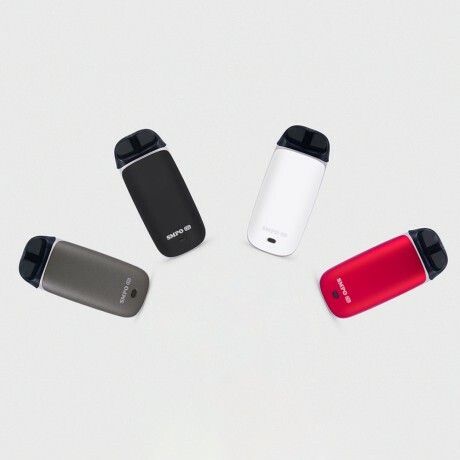 The ultra portable SMPO OS AIO Starter kit is probably one of the smartest designed pods in the current market to provide you the best mouth to lung experience. The updated regulated chip has auto temperature control and low liquid detection. Upgraded safety features such as short circuit protection, low power detection, overcharge protection provides better user safety and longer life span of the device. SMPO OS AIO Starter kit features an ultra compact and ergonomic design that utilizes 1.8ml refillable CCELL pods with magnetic contacts that conveniently snap into the 650mAh SMPO OS battery to bring you a satisfying vaping experience.